The Enterprise discovers two threatened colonies which must cooperate to survive. Eh, can someone check the transporter settings? It doesn’t normally beam up the ground cover. First Broadcast: 22nd May 1989. Posted in Season 2, TNGTagged 1989, colonies, Irish sterotype, S02E18, Up the Long LadderBookmark the permalink. Another great episode! 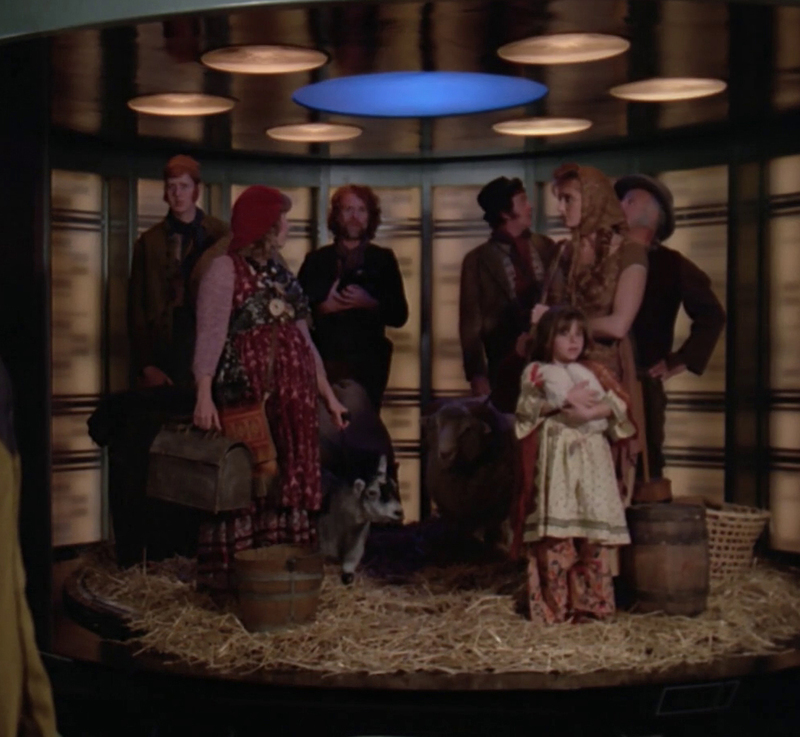 I can’t wait till I hear your take on TNG’s Scottish planet in the episode “Sub Rosa” (it’s the one about Bev and her grandmother’s symbiotic ghost boyfriend). I didn’t mind the Irish component of this episode so much. I figured the original colonists created a social stigma around technology and other developments as escaping technology was their apparent aim in the first place. I do agree on the resolution of the episode being disappointing and obvious. I really enjoyed the simple character development of the tea ceremony Worf shares with Pulaski. I always assumed the use of the word “Terran” in Sci-Fi to describe earthlings came from the Latin word “Terra”, meaning Earth. It absolutely is, but my point was that sci-fi is pretty much the ONLY place this word is used. Sorry for the long break. Was harder than expected to get back on track. Our first of a new batch of episodes up today. Disappointingly there isn’t a Star Wars reference in this episode: I double checked by pausing the scene from the blu-ray release on my 1080p projector: it clearly says “Diplomatic mission to Aldebaran” not Alderaan, sadly!